레이어와 속성테이블간의 조인 후 데이터 내보내기 코드 샘플입니다. 일반적으로 ArcMap에서 위와 같이 테이블 조인 후 레이어 내보내기를 하려면 아래와 같이 3 단계를 그치면 됩니다. 위 3 단계를 다음과 같은 인터페이스를 만들어 조인 후 데이터 저장하는 기능을 한번에 제공할 수도 있습니다. 레이어와 테이블간 조인 후 내보내기하는 코드는 아래와 같습니다. 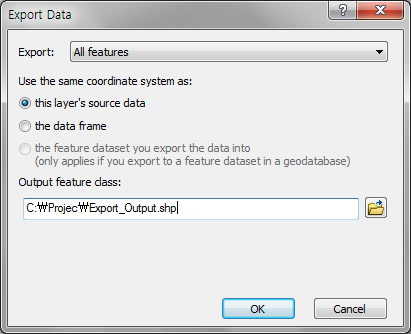 아래 코드는 ESRI.ArcGIS.GeoDatabaseUI의 IExportOperation 인터페이스를 사용하므로 ArcGIS Desktop에서만 사용가능합니다. // opens the memory relationship class specified by the given properties. 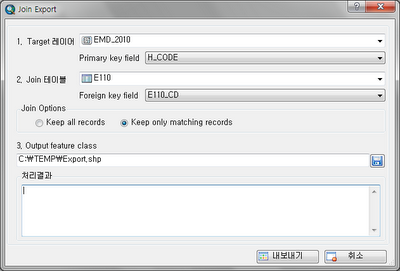 // sets a join based on the specified relationship class and join type. 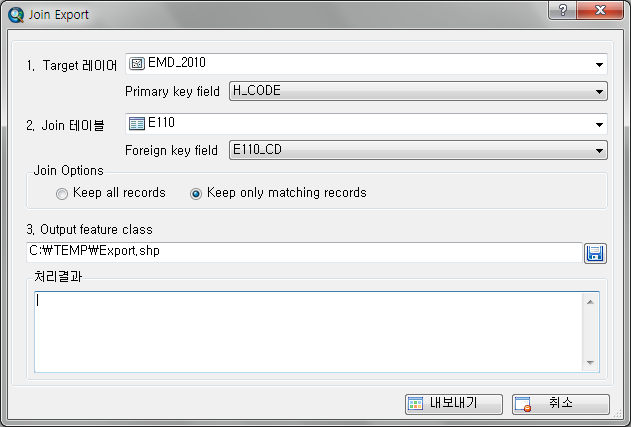 // exports the given feature class to a new feature class. 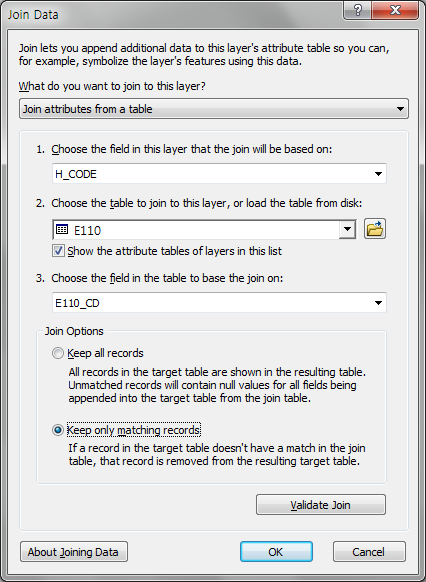 // finally removes the specified memory relationship class from a standalone table or layer.